The times and schedule slots may change as time gets closer to hamfest dates - please check back often for updates. 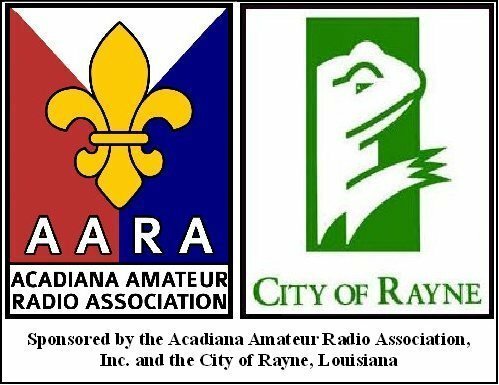 0800 ICS - 100, 200, 700 Training - CANCELLED - The AARA would like to thank Skip Breeden for volunteering in the past and we are looking for him to teach at the 2020 AARA Hamfest. Time and Forum assignments are still under construction - Check Forum Page for updates. Forums - To be held in the Green Rooms - Times & Position subject to change. Check website for updates. Schedule - Times and schedule listed below may not be correct at this time - Check out our website for details. 0900 - 1030 ARRL VE Testing – by Greg K5LFT (Fish Bowl Room). Please bring copies of FCC License (no copy machine on site), Photo ID, CSCE’s and $15.00 cash. 1100 Fox Hunt Nick Pugh K5QXJ - (Bring your Fox Hunting equipment and see who is best). $24.00 4 lb. order (+/- depending upon market price) Boiled Crawfish, Corn, Potato, Trays and Napkin. On Friday Evening & Saturday, the Hi Q Sweets Ladies will be serving a variety of Homemade Cookies, Cakes, Brownies, Fudge, etc. Can Soft Drinks (regular and diet), Bottled Water and Coffee. Friday & Saturday in designated area in front main building parking lot. Friday and Saturday schedules may change as Hamfest date gets closer. Please check back often.